Mumbai, 15 January 2019: Despite all headwinds including the liquidity crisis in 2018, housing sales rose by 18% and new launches by 33% across the top seven cities compared to 2017. Residential inventory overhang reduced to a year-low from 47 months in Q4 2017 to 33 months in Q4 2018 across the top seven cities. This is revealed by a comprehensive report prepared and released recently by Pune based Anarock Property Consultants Pvt. Ltd. The demonetisation (DeMo) effect in late 2016 had pushed up unsold inventory to 47 months in Q4 2017 from 40 months in Q4 2016. An inventory overhang of 18-24 months signifies a fairly healthy market, states the report. “Having absorbed a lot of the impact of various structural changes, the Indian real estate sector seemed poised to grow from the previous year,” says Anuj Puri, Chairman, Anarock Property Consultants. “However, the issue of stalled projects and liquidity crisis continued to confound the housing sector in 2018, though it continued its transition into a relatively more transparent and end-user driven market. End-users accelerated growth while investors shifted focus towards alternate asset classes such as commercial, retail and warehousing, which did fairly well during the year,” he states. “Builders were extremely cautious about launching projects to align supply with the existing buyer demand. This helped sales pick up momentum in 2018. Simultaneously, builders reduced the average property sizes to align their offerings with the highly-incentivized affordable housing bracket. The affordable segment spearheaded residential growth in 2018,” says the report. Bengaluru saw approx. 34,880 units launched in 2018 – a whopping 91% increase from 2017. More than 80% of the new supply added was in the sub-Rs80 lakh budget segment. MMR added approx. 59,930 units in 2018, a yearly increase of 12% over the preceding year. Approx. 40% new supply was added in the affordable segment. Chennai added new supply of 15,680 units in 2018 compared to 7,940 units in 2017 - a massive rise of 98%. Approx. 49% new supply was added in the affordable segment. Pune added 24,430 units in 2018, a significant increase of 29% over 2017. More than 90% new supply was added in the subRs80 lakh budget segment, of which 52% comprised of affordable projects. Hyderabad added 17,290 units in 2018, a significant increase of 43% over 2017. Approx. 58% new supply was added in the budget segment of Rs40- 80 lakh in 2018. NCR added approx. 26,010 units in 2018, a yearly increase of 17% over the previous year. Approx. 47% of the new supply catered to the affordable segment. Kolkata added approx. 17,290 units in 2018, a significant increase of 25% over 2017. Approx. 73% new supply was added in the affordable segment. Other factors that had a bearing on the housing scenario, according to ANAROCK were: The GST Debacle Haunted 2018: GST was a major hurdle in 2018 on under-construction properties, dissuading buyers from purchasing properties that fell under its ambit. The twin issues of stalled/delayed projects and financial stress within residential real estate augmented interest for ready-to-move-in properties, with most buyers preferring to buy what they can see. Shrinking Flat Sizes: Builders submitted to consumer demand and offered more property options in the affordable segment, along with an overall reduction in average property sizes across segments, to fit the affordability quotient. At the pan-India level, average property sizes in 2018 shrank to 1,160 sq. ft. from 1,260 in 2017. Surprisingly, Bengaluru saw maximum decline of 13% in average property sizes in 2018, followed by MMR and Kolkata with 11% each. On a two-year basis, the decline in housing sizes was nearly 23% in most key cities, except in Chennai and Bengaluru. Sales Exceeded New Supply: Another significant trend witnessed is that housing sales numbers have exceeded new launch supply consecutively in 2018. Prior to 2017, sales numbers were far lower than new launch supply. This definitely indicates that the market is managing to shed unsold stock. 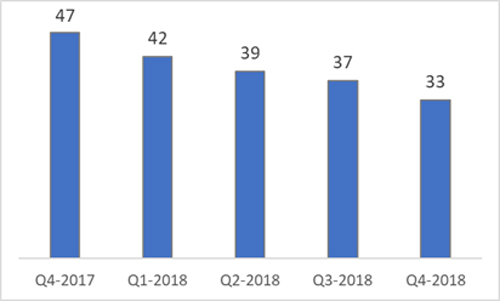 In the first three quarters of 2018, sales numbers rose q-o-q, but Q4 saw a mere 4% rise as against Q3 2018. Sales growth was essentially marred by the non-banking financial companies (NBFC) crisis in the last quarter of 2018. Consolidation via mergers and acquisitions dominated all sectors including residential during the year, completely redefining the definition of ‘financial health’ among players. This trend will continue in 2019 as well, predicts the report. Bengaluru recorded the highest jump in sales in 2018 as compared to other top cities. City sales increased by 33% - from 43,130 units in 2017 to 57,540 units in 2018 due to buoyant commercial activity and realistic property prices dictated by end-users. NCR housing sales increased by 18% - from 37,610 units in 2017 to 44,300 units in 2018. Despite rising sales, the region continues to grapple with the issue of stalled/delayed projects. 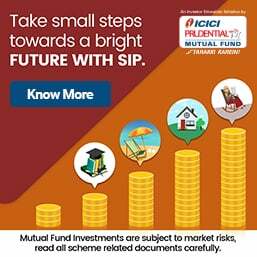 Pune sales rose by 12% - from 30,730 units in 2017 to 34,460 units in 2018. MMR sales rose by 17% - from 56,970 units in 2017 to 66,440 units in 2018 - the highest number of units sold in 2018. Chennai sales declined by 17% over the previous year and recorded 11,340 units in 2018. Unsold inventory declined by nearly 7% - from 7.26 lakh units in Q4 2017 to 6.73 lakh units in Q4 2018 and 14% from 7.90 lakh units in Q4 2016. An uptick in the traction of ready-to-move-in and nearing-completion properties helped developers clear their existing stock. Residential property prices across the top seven cities increased by a mere 1-2% in Q4 2018 when compared to the previous year Q4 2017 - except Chennai, where prices decreased by 1% and Kolkata, where they remained stagnant. Despite the numbers suggesting a positive outlook for 2018, the report is pessimistic about at least the first half of 2019. 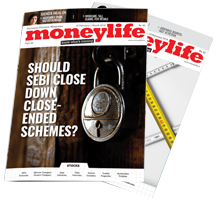 The liquidity crisis – further aggravated by the NBFC issue – has caused mayhem in the industry and early 2019 will continue to see its spill-over effect, it says. If developers continue to focus squarely on their core business, remain customer-centric and launch the right products at the right prices in 2019, the residential segment will gain traction. Else, the sector will have to solely rely on petty sops offered by the government to intermittently boost sales, according to the report. The only way out of this mess is to lower prices...substantially. Not happening. I foresee more NPAs for the financial system (from the RE sector) which hasn't been factored into the market yet. I hope I'm wrong. Prior to Amendment: E-commerce entity providing a marketplace will not exercise ownership over the inventory, i.e., goods purported to be sold. Such an ownership over the inventory will render the business into inventory-based model. Post-amendment: E-Commerce entity providing a marketplace will not exercise ownership or control over the inventory or goods purported to be sold. Such an ownership or control over the inventory will render the business into inventory-based model. Inventory of a vendor will be deemed to be controlled by e-commerce marketplace entity if more than 25% of purchase of such vendor is from the marketplace entity or its group companies. Impact: Ownership has now been clearly defined under the para. However, there is no clarity regarding calculation of the 25%, i.e., whether it is required to be calculated as at end of the financial year or a regular check on the purchase is required. Prior to Amendment: An e-commerce entity will not permit more than 25% of the sales value on financial year basis affected through its marketplace from one vendor or their group companies. Post-amendment: An entity having equity participation by e-commerce marketplace entity or its group companies, or having control on its inventory by e-commerce marketplace entity or its group companies, will not be permitted to sell its products on the platform run by such marketplace entity. Impact: An entity having equity participation by e-commerce market place entity or its group companies will not be able to sell its products through such marketplace. This effectively prohibits any entity related directly or indirectly from selling on a platform. This will ensure fair play in the market and will promote healthy participation. Prior to Amendment: E-commerce entities providing marketplace will not directly or indirectly influence the sale price of goods or services and shall maintain level playing field. Post-amendment: E-commerce entities providing marketplace will not directly or indirectly influence the sale price of goods or services and shall maintain level playing field. Services should be provided by e-commerce marketplace entity or other entities in which e-commerce marketplace entity or other entities has direct or indirect equity participation or common control , to vendors on the platform at arm’s length and in a fair and non-discriminatory manner. Such services will include but not limited to fulfillment, logistics, warehousing, advertisement / marketing, payments, financing, etc. Cash back, provided by group companies of market place entity to buyers, shall be fair and non-discriminatory. For the purpose of this clause, provision of services to any vendor on such terms which are not made available to other vendors in similar circumstances will be deemed unfair and discriminatory. Impact: Press note has provided some clarification. Services to be provided to vendors should be at arm’s length basis and in a fair and non-discriminatory manner by e-commerce marketplace entities. Such services will include: logistics, warehousing, advertisement/marketing, payments, financing, etc. Equitable treatment should be there for all vendors i.e. any provision of services to any vendor on such terms which are not made available to other vendors in similar circumstances will be deemed unfair and discriminatory. It is not merely the prices, but also the nature of terms at which the services are provided to the vendors and cash back facility to the buyers. This will move towards fair competitive practices in the market, allowing reduction in irrational discounts and undue benefit to a section of vendors. However, there is no clarification on what constitutes similar circumstances. Post Amendment: E-commerce marketplace entity will not mandate any seller to sell any product exclusively on its platform only. Impact: Sellers will now have a free hand in selling products. E-commerce marketplace will now no longer mandate seller to sell any product exclusively on its platform only. However, it seems that this does not prohibit a vendor from voluntarily selling exclusively on the platform. Post-amendment: E-commerce marketplace entity will be required to furnish a certificate with a report of statutory auditor to the Reserve Bank of India, confirming compliance of above guidelines, by 30th of September of every year for the preceding financial year. Impact: Yearly reporting to the Reserve Bank of India has been made mandatory for e-commerce marketplace entity. The amendment to the FDI in e-commerce policy will have impact on e-commerce giants, ensuring a level playing field between offline and online sectors. The changes are important as their enforcement will affect the flexibility that e-commerce platforms had in doing business and force them to be neutral to all vendors. The timeline to comply with the changes may, however, need to be re-visited as companies will need to study the latest provisions in detail and may need to bring about several operational changes.